Wildlife-loving Richmond visitors often keep their eyes peeled for eagles, river otters or cute little Douglas squirrels while they’re here. But a group of far larger critters is such a big attraction that many travellers plan their trips for a specific of time of year – and that time is now. 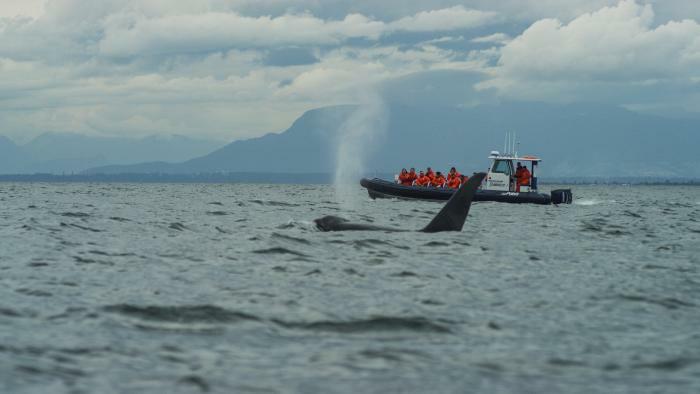 Whale watching season runs from April to October in this part of the world, and Richmond – or more specifically Steveston Village – is the departure point for two of Metro Vancouver’s most popular operators. Fancy an up-close encounter with some breathtaking marine-based locals? Here’s what you need to know. Celebrating its 20th anniversary in 2018, Richmond-based Vancouver Whale Watch deploys its Zodiacs to zip you across the waves in comfort. Also departing from Fisherman’s Wharf, Steveston Seabreeze Adventures runs its popular eco-tours throughout the season, luring lots of camera-wielding visitors to the area. Where do the boats go? The tours head out to open ocean, often weaving around the Gulf Islands and San Juan Islands. B.C. operators typically share sighting information to ensure they head straight to the best viewing spots. The tours – led my marine experts with plenty of insights to impart on the region’s aquatic critters – last anywhere from three to five hours, depending on where the whales might be. Orcas are the stars of these interpretive tours but there can also be some jaw-dropping bonus sightings as well – perhaps humpbacks, minke whales or grey whales. And it’s not only about whales. You’ll likely see seals, porpoises or sea lions – while bald eagles and an array of seabirds are often spotted as well. Tell me more about the orcas! Also known as killer whales, the black-and-white-patterned orcas are a well-known presence in British Columbia’s waters. But while they might look the same, there are actually two distinct types here. Transient orcas typically hunt and eat other mammals – especially seals, porpoises and sea lions. In contrast, B.C.’s resident orcas mostly eat fish – and they especially love salmon. Do the tours annoy the whales? Both Richmond operators take whale conservation extremely seriously, working hard to ensure the area’s ocean-dwellers aren’t harmed by their presence. Each operator adheres to Pacific Whale Watch Association (PWWA) guidelines that their boats should be at least 100 meters from the cetaceans they’re gazing at. And both dedicate a portion of their proceeds to marine preservation initiatives. Dress warmly in layers; even when it’s hot and sunny onshore, it can be chilly out on the water. Sunglasses and sunscreen – as well as your camera – are also recommended, as well as snacks and drinks (the operators do provide water). And don’t worry: all the boats are equipped with washroom facilities. Both operators offer similar pricing, with adult tickets costing between $130 and $140 and tickets for children under 12 priced from $80. Tickets for seniors and students typically range from $105 and up. The summer season is busy, so booking ahead is highly recommended. Staying in Richmond or Vancouver? Both operators offer pick-up-and-return shuttle services. What if we don’t see anything? B.C.’s whale populations don’t operate on a schedule! 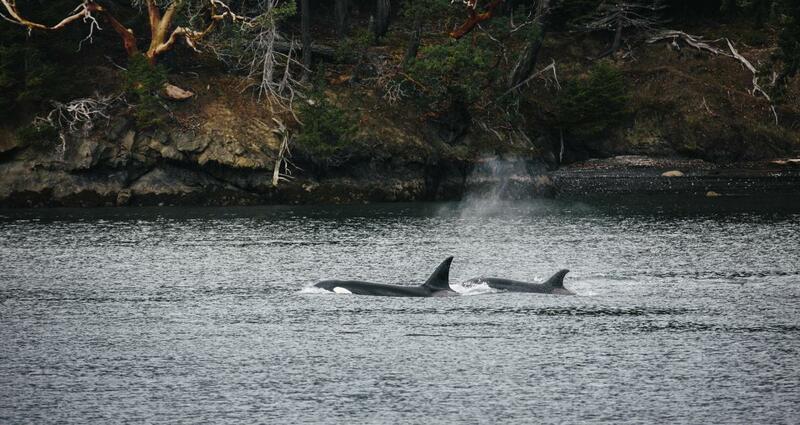 But both operators say there’s at least a 90 per cent chance of spotting orcas on their tours. And if you’re unlucky enough to not see one on your trip, Steveston Seabreeze Adventures and Vancouver Whale Watch both offer a similar guarantee: you can return anytime and take their tour again at no extra cost.